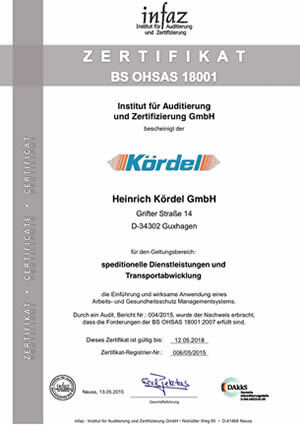 In order to be able to guarantee engineer standards and to meet our customers’ and clients’ needs, every division is instructed to follow the rules in the quality management guide as well as the procedural requirements and the operational instructions. 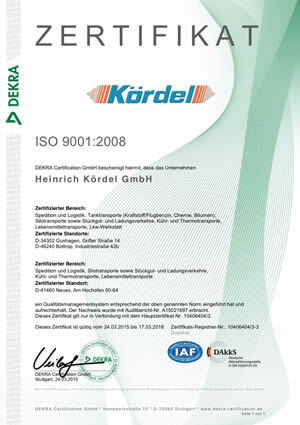 An authorized person is in charge of the planning, checking and correction of the QM-system. He has the organizational responsibility to identify problems, suggest means and monitor the establishment of these. Safety and the activities associated with it are a central issue of our daily work. Well trained and highly motivated specialists, who are familiar with the complexity of issues in certain areas, form the base for accident-free work. We aim to keep our working environment clear of any source of danger. We work responsibly and take any action seriously to ensure occupational safety. The importance of this aspect is obviously pointed out by the growing legal regulations. We take all necessary actions in order to avoid the known risks which come along with the abuse of alcohol and drugs. We try our very best to minimize those risks, knowing that we bear responsibility for our customers and the general public. 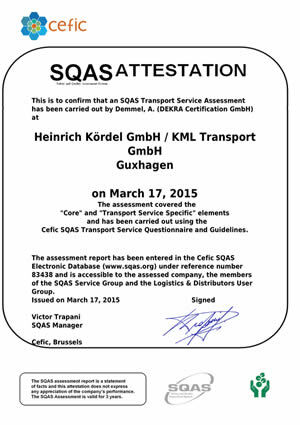 SQAS stands for Safety and Quality Assessment Systems and is an evaluation system, which is based on the norm of the European Chemical Industry Council, especially for logistics providers. 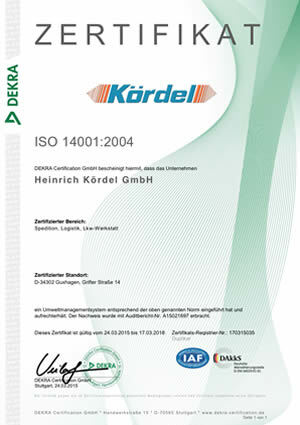 SQAS exceeds the requirements according to ISO 9001 and contains components of the certificate ISO 14001. The SQAS questionnaire covers all valid regulations and management principles for transport and logistics service providers. Protecting the environment is a general concern to which we as a transport company feel extremely obliged.